Powerball Lottery Jackpot Goees Up To $180 Million: The Powerball lottery was held last night with no jackpot winners making the new prize for the draw on Saturday to reach an estimated $ 180 million with a cash option of $ 100.3 million. Wednesday night was the tenth consecutive drawing without a winner of the jackpot. Although there were no jackpot winners , 13 tickets matched the first five numbers for a $ 200,000 Second : 1, Arkansas , Connecticut 2 , Florida 1 , 1 in Illinois , 1 in Kansas, 1 Massachusetts, Minnesota 1 , 1, New York , North Carolina 1 , and 3 of Ohio. The ticket sold in Arkansas was purchased with the Power Play option , multiplying the prize to a hefty $ 1 million. It was sold in Tuckerman in EZ Mart 429. 54 tickets matched four white numbers plus the Powerball and won $ 10,000. From these entries , 15 were also purchased with the Power Play option, multiplying by 2 prize for a total cash prize of $ 20,000. 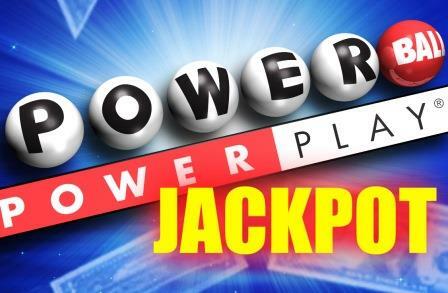 The Powerball winning numbers for Wednesday, August 3 were 13, 19, 21 , 28 and 49 , with Powerall number 11. The Power Play number was 2. The last Powerball jackpot to reach or exceed the size of the next draw Saturday was the June 1, 2011 , when a New York ticket won a grand prize of $ 200 million. A total of 1,290,407 tickets across the U.S. earned more than $ 10.5 million in prizes by playing ” American Game ” Wednesday . 182,411 of those winning tickets were purchased with the Power Play option , multiplying the prize by 2. When a Powerball ticket is purchased with the Power Play option for an extra $ 1 per ticket , any jackpot prize is multiplied 2-5 times , depending on a computerized random number generated that night. Second Power Play enabled tickets matching five numbers but not the Powerball always multiplied by 5 times, for a prize of $ 1 million. Powerball is now played in 41 states , the District of Columbia and the U.S. Virgin Islands . The drawings are Wednesdays and Saturdays at 11:00 pm ET. Powerball winning numbers are published in the United States Mega minutes after the draw takes place.